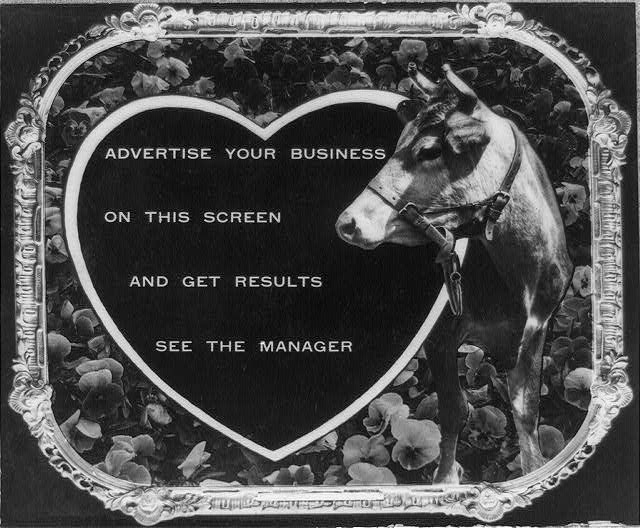 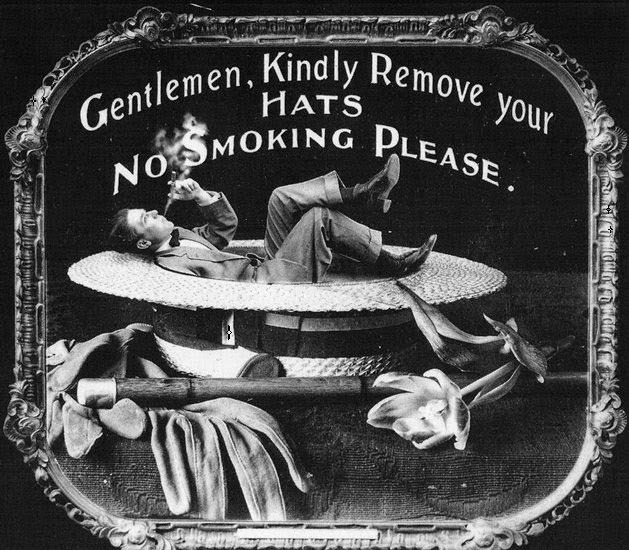 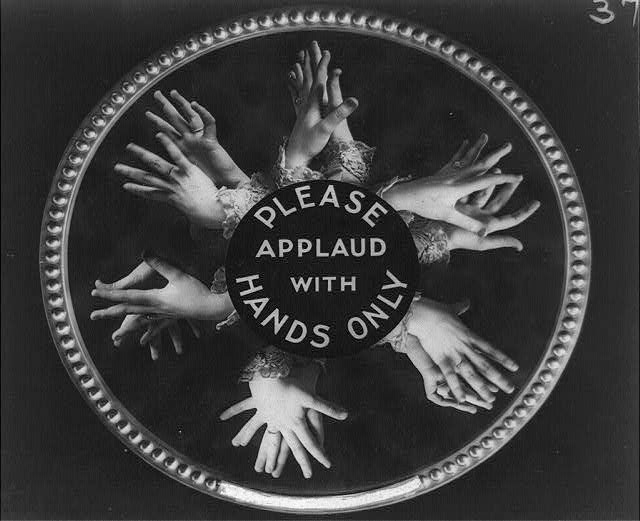 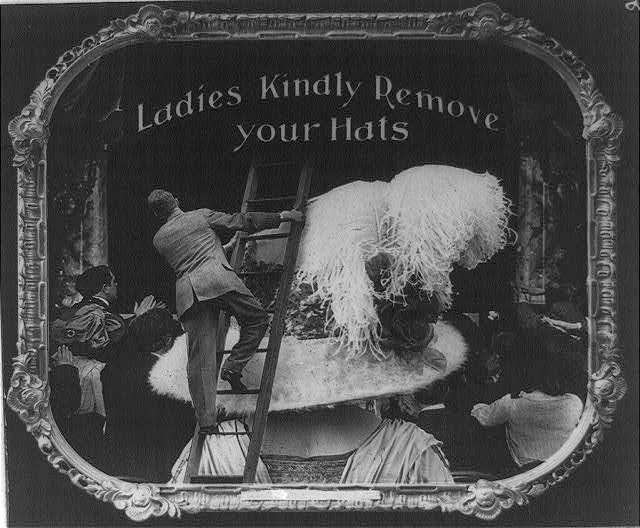 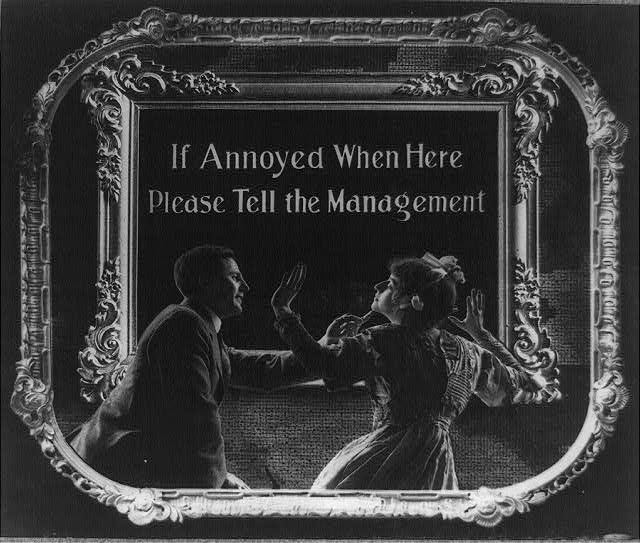 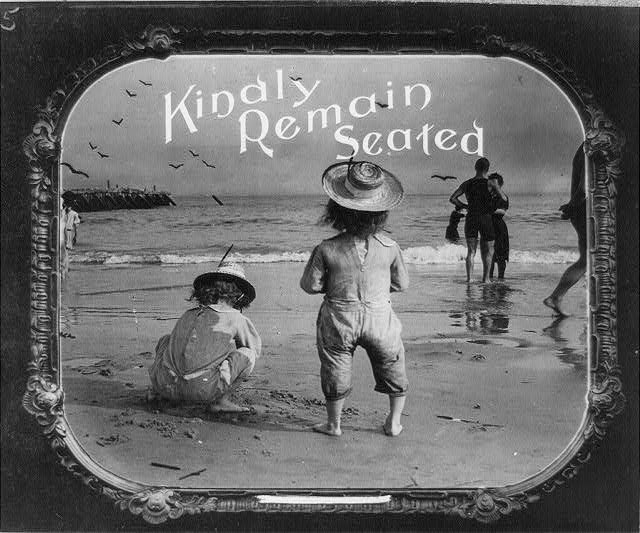 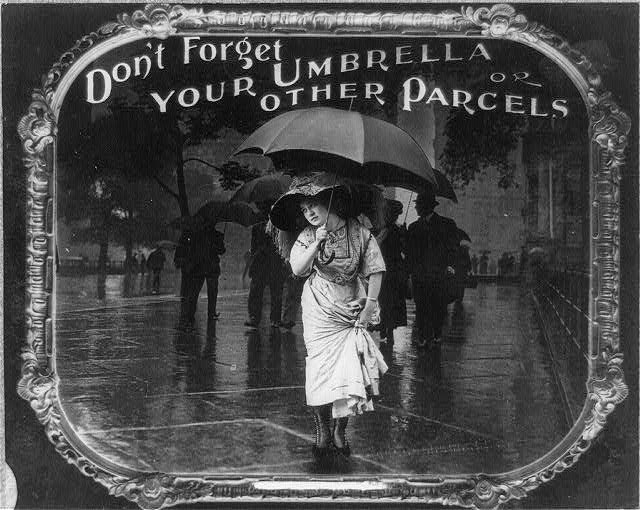 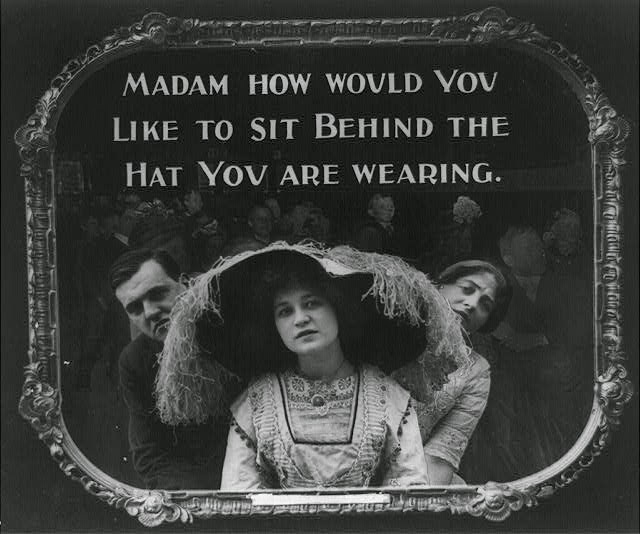 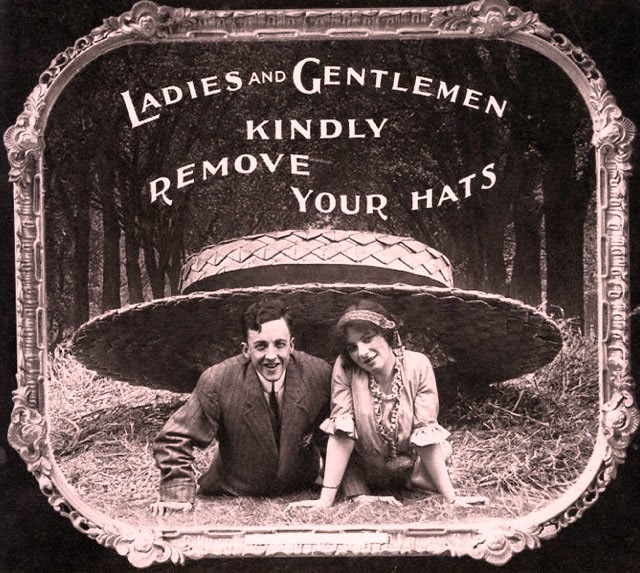 The Library of Congress has a fascinating series of vintage movie theatre “etiquette” posters from 1912. 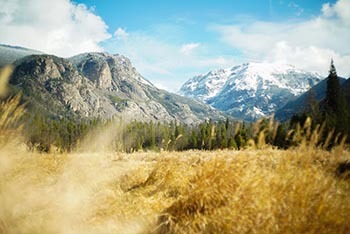 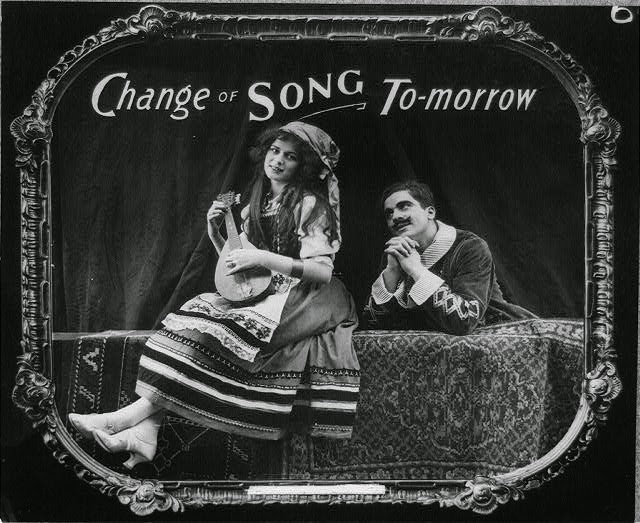 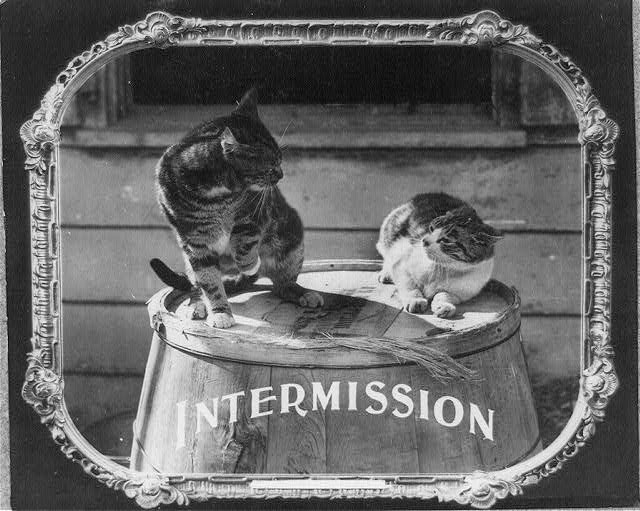 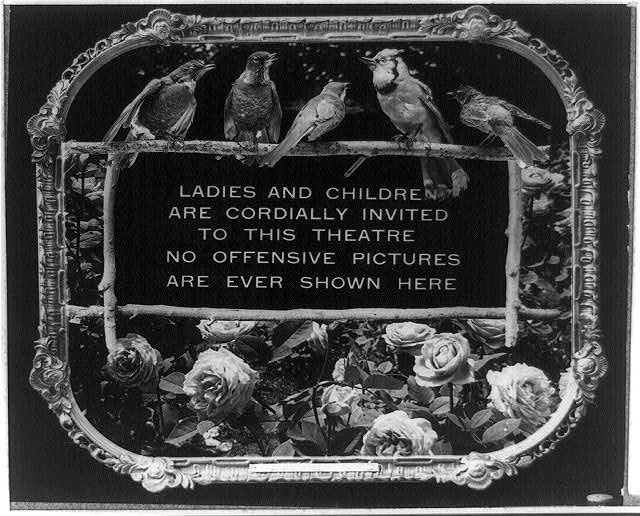 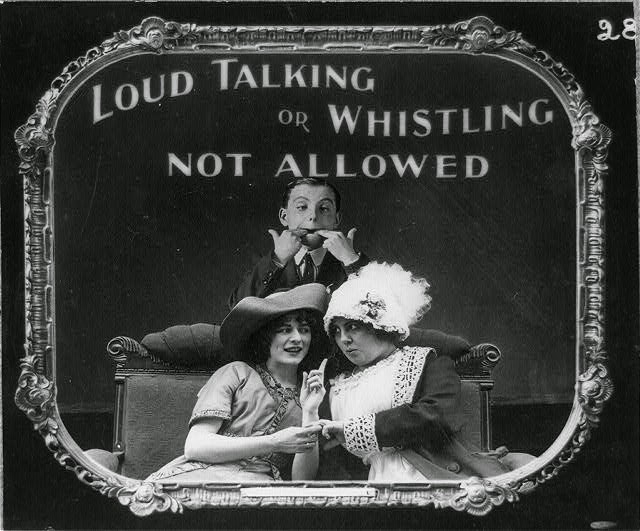 At the time, films were silent as movies with sound didn’t become prevalent until the late 1920s. 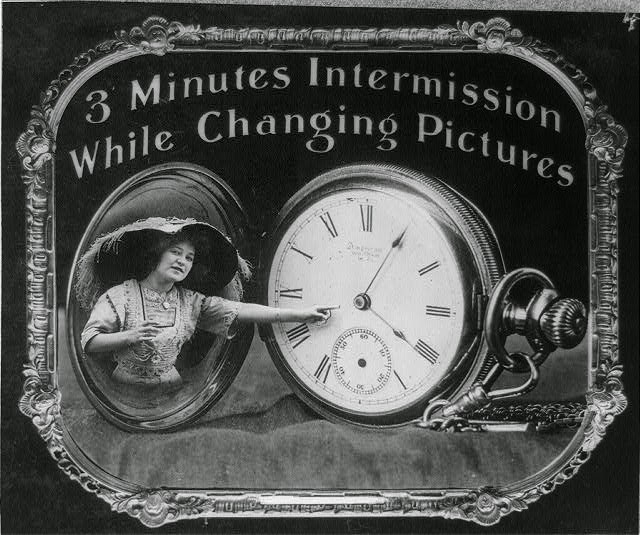 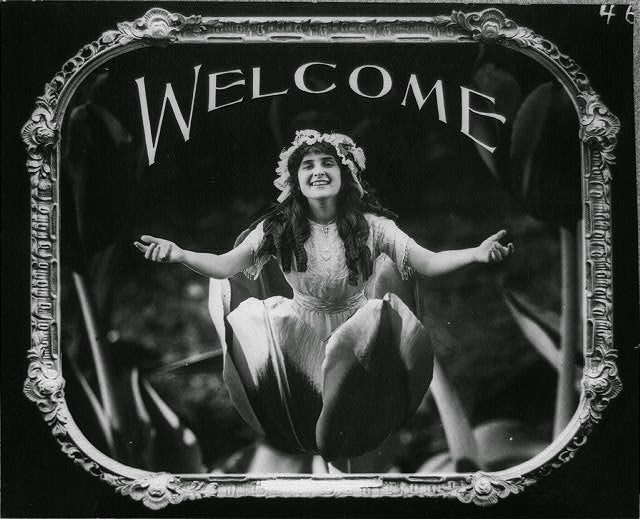 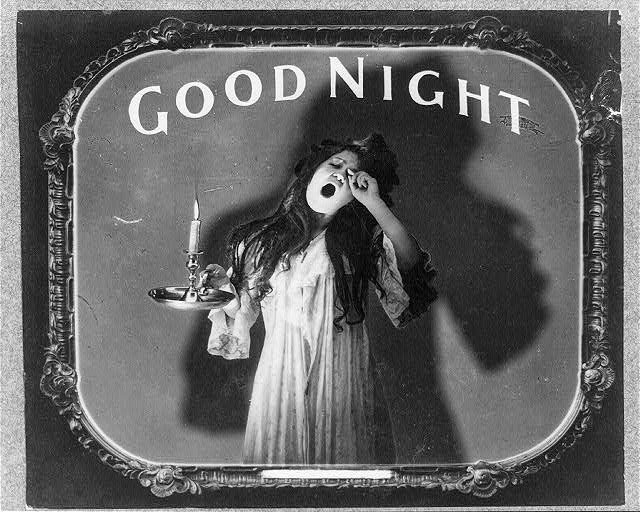 Sadly, a September 2013 report by the United States Library of Congress announced that a total of 70% of American silent films are believed to be completely lost.